Because if your partner really paid attention then he or she would know what you want in the relationship. Using your full capacity to listen, and pay attention results in the other person feeling seen, loved and understood. This article is about mind-reading 101. Mind reading…. 101. It’s really about being mindful and observant, like a mentalist, which will look and feel like you have esp. When you pay attention with all your senses and mindfulness you can really understand your partner. And, when you feel heard by someone else you feel real and loved. Kahlil Gibran references this in his poem book, The Prophet (1923, 1978, 1984). Which is an oft-quoted book at marriage ceremonies. “Darling do I understand you enough? Or am I making you suffer?Please tell me so that I can learn to love you properly…..” Real Love, pg 80. “Love is a mind that brings peace, joy,and happiness to another person. ….The essence of love and compassion is understanding, the ability to recognize the physical, material, and psychological suffering of others, to put ourselves ‘inside the skin’ of the other. We ‘go inside’ their body, feelings, and mental formations, and witness for ourselves their suffering. Shallow observation as an outsider is not enough to see their suffering. …When we are in contact with another’s suffering, a feeling of compassion is born in us. Compassion means, literally, ‘to suffer with’. …” Meditation on Compassion, pg 81, 82. To develop this quality in yourself, follow these 6 easy steps. Know yourself. Develop your understanding of your wants, your strengths, and limitations. Once you know where you are you can allow yourself to feel trust and then open to your partner’s needs, wants, and perspectives. Knowing yourself allows you to connect with other’s and see not only your own perspective but that of another. Reset your senses to neutral. This is the idea of choosing to connect rather than be right. Choosing to remove fight from your vocabulary in order to focus on deflecting negative or attacking energy and going underneath that to the injury or suffering or pain of the other and seeking to create/find understanding and connection. Observe another’s face, voice/tenor, and gestures. Stop, look, and listen. Make the connection through observation and clarification. Pay attention, notice incongruence and seek a way through to a deep understanding and knowing of your partner. Use yourself as a reflection of your partner. Feel into your own body as a reflection of the other’s heart rate, anxiety, breathing, tension, peace; listen to your inner voice – for something off, something strong, something intuitive. Speak your feelings and thoughts, use clarification and inquiry from a balanced loving neutral place – not defensive. Reflect what you see as the incongruence. Deflect/deflate another’s anxious negativity, or look for clarification of how he or she got there… discover what was the preceding action that triggered the anxiety or angry response; feel into yourself and then inquire from your partner, to ascertain what you partner is looking to receive so that he or she feels seen, heard, connected and loved. Once you understand or get clarity on this information, give it lovingly and without condition. Your capacity to read another’s mind is directly related to your personal self-knowing and your desire to connect, understand, and paradigm shift. Meditation, Mindfulness, Removing fight from your vocabulary, and Developing you connection to your internal sensory guidance center are actions that improve your capacity to develop compassion, understanding, and care within you. Categories: Balance of Spirit Mind and Body category, consciousness development, Mindfulness living category, Paradigm shifting, spiritual development | Tags: consciousness development, effective communication, instinctive health, internal sensory guidance system, Kahlil Gibran, mind reading 101, paradigm shifting, Peace is every step, spirit mind and body balance, telepathy, the prophet, Thich Nhat Hanh, upleveling consciousness, verbal aikido | Permalink. This blog of January 31, 2011 has had the most hits on my site. So I wanted to update followers (and those who find themselves viewing this blog) on what has been transpiring over the last 6 months. A quote from the bog: My last three premonition events share a very specific physical experience that occurs directly in my brain and perceptual field. It is as if part of my brain is not under my control, akin to how a muscle feels when it has fallen asleep and is beginning to get blood back to it – heavy, fuzzy and outside normal control. It is difficult to describe the feeling, but it has a quality of an intense dizziness and slight disorientation, unable to stand up and I experience my head being heavy and pulled to the ground. There is no precipitating event to explain the phenomenon. It lasts from several minutes to several hours; my pulse and blood pressure are normal for me. .. end quote. In the recent six months I have been doing increasing energy work on the people who enter my practice, using specific essential oil sprays, for energy rebalancing of the wheels within their spiritual/physical systems as well as the auric fields around them, incorporating the medical intuitive information I receive and clarifying imbalance through tuning forks and toning bowls. As I have developed this I am experiencing even more elements of the above described experiences within my own brain and physical body. This has been very helpful to those people entering my practice. For those also experiencing these changes, here are some helpful techniques to rebalance yourself after a healing treatment or premonition/precognition experience. Baking soda can help to remove radiation and problematic negative discharge that has caused an imbalance within you. Salting the environment, your sleeping area, your meditation area or workspace can dampen negative energies, you can then vacuum these up to cleanse. Apple cider vinegar in a bath can help to maintain your cleansed auric field. you may know that some item needs one of these if when you pick it up or touch it you feel nausea or it hurts your hand. Cypress, orange blossom, eucalyptis, and geranium help to assuage depression and anxiety. Lemon, lime, and grapefruit help to clear out negative, angry, frustrated feelings. Rose helps to access self love, compassion and forgiveness. Chamomile and lavender assist with calming nerves and helping to allow sleep. These are a few ways you can help yourself move into this new dimension without falling ill or feeling that the cost to help is too hard on your body. Intuition, premonition, and precognition are knowings about the future. Intuition is a type of sixth sense that is integrated with our five sense awareness system and can be developed through mindfulness, attention, and intention. Intuition is more about a now experience. Intuition is an instinctive knowing, and provides guidance in decision-making and direction. Premonition and precognition are a type of future knowledge either through sense awareness or actual information or cognition of a future event. These are generally urgent and or negative, a feeling or knowing that something bad is going to happen. I have written previously about intuition in my blog called instinctive knowing. I think of intuition as an instinctive knowing that gets our attention in subtle and nagging or persistent ways, pulling us back to situations to take action to avoid something that is a problem or needs our attention. I have had several premonition experiences. Categories: Balance of Spirit Mind and Body category, consciousness development, spiritual development | Tags: balance of spirit mind and body, healing crisis, healing essential oils, intuition, medical intuitive, precognition, premonition, psychic protection, spiritual crisis | Permalink. Heart pounding in your chest when you look at or think about someone? It might be love..
or it might be fear. How you interpret that pounding is context. To face your fears and disarm the power of bullies you have to shift your interpretation of that pounding from fear requiring flight…..
and then to love seeking an opportunity for recognition. Facing fears is knowing your self and then seeing, understanding, and clarifying how you fit into the situation you are facing. This is best done, gently and quietly, allowing your heart to guide your actions. an inappropriate paradigm that doesn’t take into account the whole picture of ‘what is’. Love is indeed the best treatment for fear. But getting from the fear to love can be blocked or feel impossible if you haven’t developed your internal path to grace. To a lesser degree getting from anger or insecurity to forgiveness and gratitude is also difficult. Set aside time to discover who you are through breath, meditation, journaling. yoga, and other creative pursuits. Practice using the four agreements by Don Miguel Ruiz, to reset your placement of power august 15, 2012 post four agreements plus one (this strongly diminishes your sense of fear). Set your internal personal goals as paramount for your energy and behavior so that you are not spending oodles of time meeting others expectations but rather directly focusing your energy and resources on what brings you joy. This returns you to empowerment rather than a sense of smallness and disempowerment. It moves you out of reactivity and into proactivity. Accept that your path to ‘greatness’ doesn’t follow the same path as others and embrace your friends’ successes with the sense that this increases your chance of greatness too (rather than experiencing the sense of competition or limited chances to greatness). Focus love and compassion toward yourself and others. Release the need to prove your point. Be willing to adjust your position as you receive new information. Be free to grow, change, and uplevel your understanding and consciousness. Receive criticism from others as if it is coming from someone who deeply and truly loves you, this shifts your receptiveness, because it disallows a sense of defensiveness – then you can ascertain if there is a grain of truth in it or of no value. The idea of someone trying to overpower you is co-created. You and she co-create the drama. You can disarm the overpowering fear by following these steps. In most circumstances this will free you to create a different more equally empowering situation. If it doesn’t, if the other person really wants control, just remember you have free will in how you want to participate. You cannot engage your free-will when you are in a reactive mode. Pay attention to what causes reactivity in you. Heal that and you can remove the target from your back for those who are consciously and unconsciously engaging in this fear promoting behavior. This will free up a huge amount of energy for you to create precisely what your heart desires. Gineris, Beth. Turning NO to ON: The Art of Parenting with Mindfulness, 2011; Turning ME to WE: The Art of Partnering with Mindfulness, 2013. Categories: Balance of Spirit Mind and Body category, coaching category, consciousness development, Gestalt figure ground, Mindfulness living category, Paradigm shifting, spiritual development | Tags: attitude of gratitude, balance, change, consciousness development, effective communication, faith, instinctive health, internal sensory guidance system, meditation, mind-body-spirit connection, paradigm shifting, techniques to reduce bullying | Permalink. Living in the Light is more than being positive. 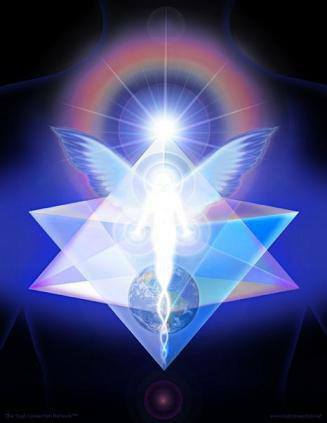 Living in the Light is knowing that you are loved, knowing that you are protected, knowing that you are in sync with your higher self and higher power goals. The power to change your world, and by transitive property the world around you, is in your mindset. Your perception of yourself at the center of your world. This is not a narcissistic centeredness, it is a grounded and upleveled understanding that what you experience as truth is what you see. So if you experience as truth the world is against you and you are a victim, this will be what you identify in all your interactions and therefore, what you will reinforce as truth. You will enhance the energy of lack and being invisible or unappreciated. However, if you stand in the center of your life, and expect good things to be your experience you will observe miracles all around you. This requires a willingness to eschew fear, ‘what if’, ‘if only’, and anxiety as your experience of the world. It requires an unbounded willingness to see how the world is working on your behalf and have faith in the spiritually upleveled aspects of the world around you. 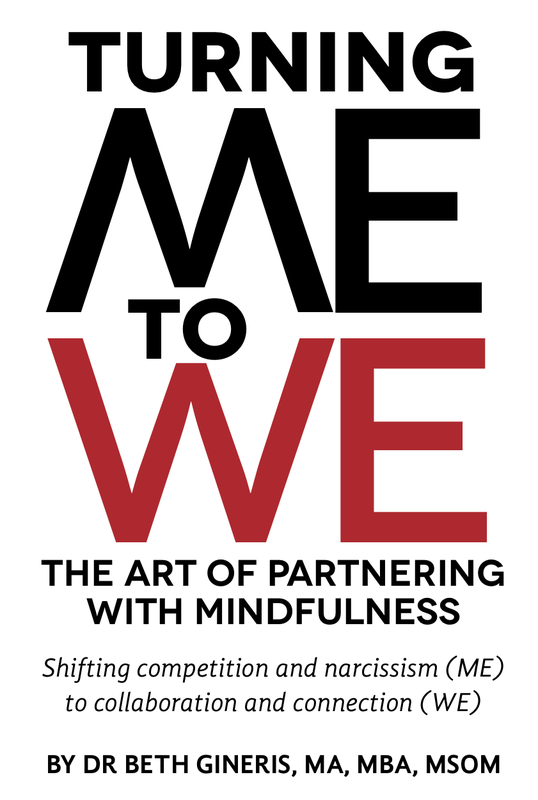 This requires compassion, lovingkindness, and a focus on connection rather than competition. So, when you hear hatefulness spewing from another rather than reacting in hatefulness, you send to that person love and compassion; you allow yourself to hear the pain, fear, or misunderstanding underneath that hate so that you can assist in his or her elevation by simply responding with love and compassion. Remember, a fight can only continue when you punch back. If you do not engage in the fight with reactive hatred or anger, you open the space for understanding, peace, forgiveness and light to enter. In the animal world, the alpha male and alpha female exert power over the group through competition for limited resources. Often physical strength and creation of alignments push out others and create a space where the alpha exerts control. Today we simultaneously label this bullying and reinforce it with the according of power — this mixed message of it being labeled bad when a little boy or girl is mean but give power to the winner of a very negative political race — makes it so that the societal message is that playing dirty, winning at all costs and bullying is wholly and completely acceptable in fact honored, so that living in the light is actually going against the norm in this current alpha society. Our political world has used this style of power to control how the population makes decisions about who is to be in power – using whether something is ‘cool’ as a standard of what to follow. The political world, the publicist, the hollywood environment, uses this to market the buying population and focuses on pre-teens, teenagers, young adults, and those who want to be perceived as hip like these youngsters to control power positions, and make money, even controlling the population to make decisions that are not in their individual best interests. Even the world of spirit, and spiritual health has been overrun with this idea of cool, propaganda for profit. Unfortunately this has made it so there are many groups that use this combination of alpha group power and spiritual upleveling in cohesion so that it is cool to be part of some religions but not others rather than encouraging an overall elevation of spiritual interaction and action on the planet. You can see this in how the political arena tries to scapegoat and denigrate certain people for their religious beliefs and uplevel others that will increase their level of cool. Living in the light is applying a standard of true spirituality, sincere faithful attention with compassion and lovingkindness toward all beings, as each struggles to find his or her place in the world. So that an enlightened approach, to those who see the world differently from yourself, is to have a willingness to understand their paradigm and then look for ways that you and she agree, so that a true and real conversation can be had rather than a power struggle for power in the marketplace. Love is the great balancer and neutralizer. Lovingkindness and compassion allow you to live in the light in your approach to all human beings, animals, and plants. It is through this method that the earth shall survive. It is though this method that balance can be reset in the natural earth, because it is the beta mentality that is what is needed for the global society and earth balance to happen. The Beta and the Omega look to balance the Alpha, but our political environment has gone too far with the alpha power structure. This hierarchical style cannot contain the global needs of the earth. The beta-mentality looks for connections, is inclusive and accepting. The omega-mentality is playful, diffuses negativity, and creates an environment for letting off steam without reprisal. The alpha-mentality is most useful in third-dimensional thinking of right/wrong, good/bad, and limited resources, when there is danger from without and there is a need for absolute power, however the dependence on this style of leading, solely, has allowed for oppression, divisiveness, out-grouping, and propaganda to the detriment of global societies. This is not to say that the way forward is through the social-democratic, progressive beliefs of socialism or an over-dependence on governments, Unfortunately these policies enhance the use of propaganda and alpha-style mentality; they create a different style of hierarchy, not centered in the light or spirit. Rather than increase the use of true cohesiveness, connectedness, and mindfulness they diminish even further the importance of elevating all and create a different societal structure that will ultimately create an even smaller degree of peace. Much of my writing is about paradigm shifting and mindfulness as a way of dealing with not only individual, but also small group and large group interactions. These ideas are infused in many religions, many philosophies both east and west and many successful groups. Not one belief system holds the patent on the idea of mindfulness; it part of Taoist, Judeo-Christian, Hindu, Native American and many other religious and philosophical tenets. To live in the light is to be continually bringing yourself back to neutral and to discover within yourself a positive bent in all that you do so that you are actually shining light onto others and yourself to bring in the beta-mentality of connection and uplevel capacity of the whole group. In this way you will create peace within yourself and experience connection and understanding in your world. Love is the answer. Love is the way. Categories: Balance of Spirit Mind and Body category, coaching category, consciousness development, Gestalt figure ground, Mindfulness living category, spiritual development | Tags: attitude of gratitude, balance, compassion, consciousness development, experience, faith, God, internal sensory guidance system, living in the light, mind-body-spirit connection, namaste, propaganda, the way, truth, upleveling consciousness | Permalink.